In the midst of all the indie “beach pop” bands emerging in 2010 and 2011, the unassuming boy-girl duo that is Tennis felt like a great light-hearted break from all the melancholy of bands like Real Estate and Beach House. The majority of songs on the band’s debut album were all under three minutes—each tributes to stops on the couple’s Eastern Seaboard adventure. Something about their bizarre origin story and the leisurely sailing songs just clicked. But if Cape Dory was the honeymoon, Young & Old is the daily grind of marriage. Gone are the carefree themes of sailing the open seas and bird-watching with your lover—Young & Old finds itself considered with some heavier themes and makes it clear that the couple has matured and tucked-in its shirt since Cape Dory. The album opens with “It All Feels The Same,” which starts out with a surf-pop guitar hook but quickly dispels the idea that the band might still be out at sea. In fact, Tennis now even sounds a bit like a hapless couple attempting to rekindle the fire of yesteryear: “When I say your name I look for a change/But everywhere I go it all feels the same.” Even right from the get-go, frontwoman Alaina Moore expresses these landlocked emotions—but Young & Old isn’t just looking into the past with mixed emotions. On the first single off the album, “Origins,” Moore even looks into the future and questions whether or not the couple’s relational difficulties will affect their future children: “Will you make my children bear/The consequences everywhere?” The piano-led track bounces along with a breezy lightness and features a catchy melody, but when Moore is criticizing her husband of being a “a picture of fragility,” it’s hard to feel the laid-back vibe that the music asks me to. Later on in the album, songs like “Traveling” and “Robin” attempt to capture the same magic of Cape Dory but feel a bit out of place amongst all the displays of emotional angst elsewhere. It’s not that I don’t want Tennis to grow up though. 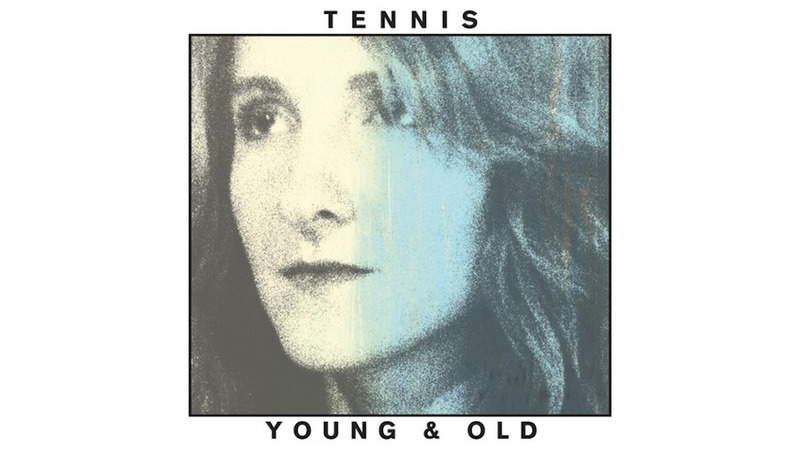 Songs like “Petition,” which find Moore taking a more mature singing voice and a soulful chorus melody to match the more serious themes of the lyrics, are really the direction I wish Tennis would have taken the album in more. The album plays with a pretty similar musical palette to Cape Dory’s—jangly guitars, piano, organs and surf-pop drums continue to take the lead. But because the duo is clearly at a new stage in life both as people and songwriters, something just doesn’t add up. The truth is that Tennis has all the necessary components for indie success: a rom-com backstory, a beachy laid-back vibe and a cute guy-girl sentimentality. In Cape Dory, that’s who they were. But Tennis has moved to the city, gotten a new place and a new job, perhaps even taken off the flip-flops. But most of the time, I can’t help but think these guys’ hearts are still set on the open seas.